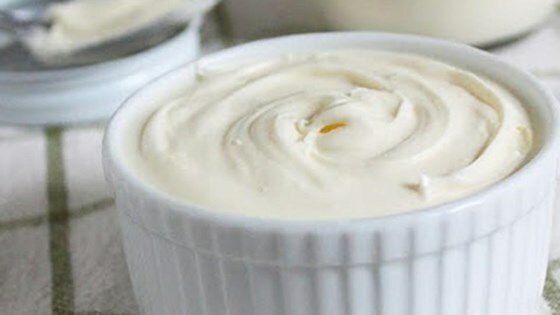 "Making creme fraiche is very easy and, once you taste the magic of homemade sour cream, you'll have a hard time not repeating this esoteric exercise. Sure it takes a couple days, but the effort is minimal and the payoff is marvelous." Combine cream and buttermilk in a glass jar. Cover tightly with cheesecloth (or any breathable material) and let sit at room temperature (70 to 75 degrees F (21 to 24 degrees C)) for 24 hours. Stir, screw on lid, and refrigerate for 24 hours before using. Be sure to use the best, freshest cream you can find. Look for pasteurized, not ultra-pasteurized heavy whipping cream. Make sure to use cultured buttermilk, otherwise you will wait a full day to see nothing happen.